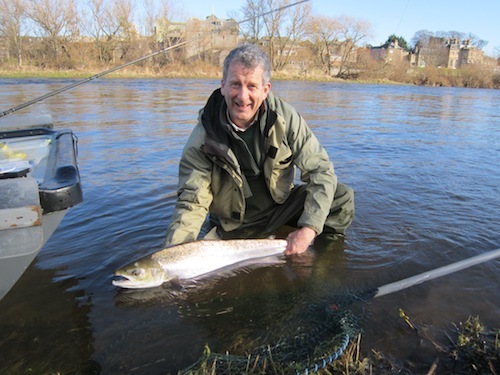 As requested I attach a copy of myself returning the 15 pound springer at The Junction on Friday 7th February 2014. The boatman was Gavin Brown who was his usual excellent self! At one stage the fish tried to run into Ednam House Hotel and then down through Kelso Bridge! I look forward to spending my £50 voucher at Borders GunRoom!